We all know how important it is, and yet how hard it is to build a local network of friends. If you have a job when you get here then that is a good start, but socialising with people from work can also drive you crazy. One active community here is Internations. 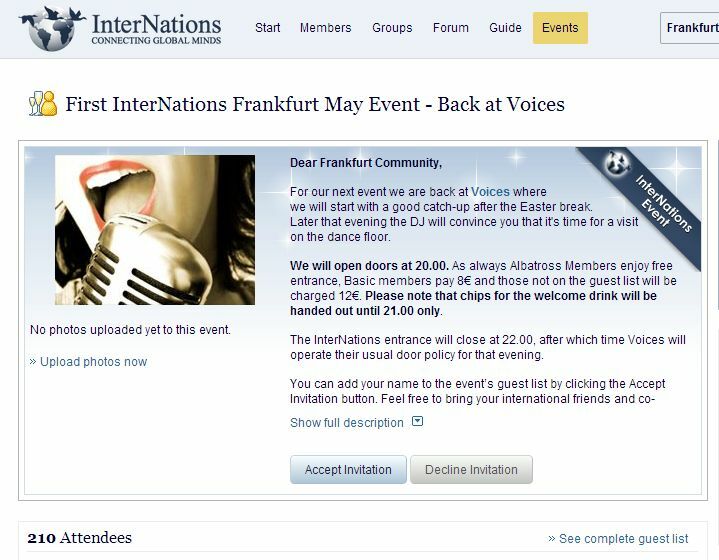 There is a pretty big and active community in Frankfurt. The monthly events are very well attended and often booked out. Up to about half of the attendees will be German, but the language is always English and the background of the people there is very international. Some of the events can feel a bit like a middle-aged dating club, but there are plenty of normal people around as well!